When providing guidance to local leagues in need of additional participation options, Combined Teams is an easy and effective way to afford children the opportunity to play Little League®. 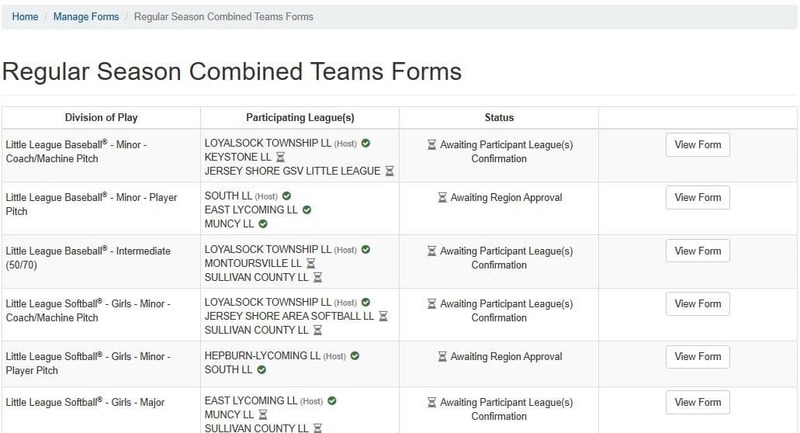 Through the Little League Data Center, a District Administrator can review and authorize team combinations for the regular season. Approval of a team combination for the regular season does not afford approval for those leagues to combine for the Little League International Tournament. Leagues may submit a request to combine for Tournament participation through the Data Center (available April 2019). 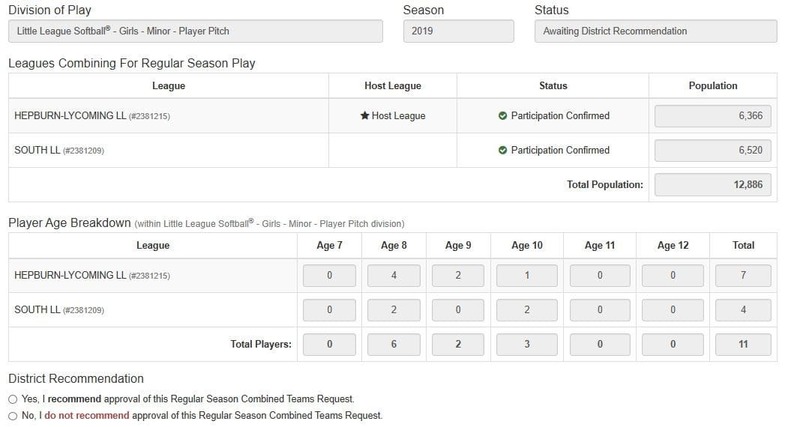 Provided below are instructions and visual descriptions taken from the Little League Data Center that will walk you through the Combined Teams process. 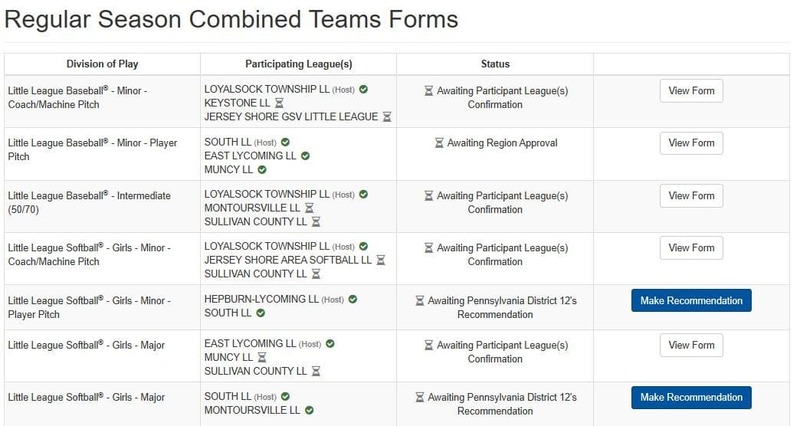 To view forms that are ready to be reviewed, click the “Regular Season Combined Teams Forms” link in the “Your To-Do Items” section of the Data Center landing page. Forms awaiting your review will have a “Make Recommendation” button. Incomplete or previously reviewed forms will have a “View Form” button. To review a form, click “Make Recommendation”. Prior to making a recommendation on the approval of the combination, review all information in the request including population and player numbers. Check the appropriate option under the request to submit your recommendation to the region. Once forms are submitted to the regional office, they will be reviewed with both regular season and tournament in mind. Districts and leagues will be notified of the decision as well as the likelihood for the combination request to be approved for International Tournament play. You can view the status of all forms in the “Manage Forms” section of the Data Center.